This may have been asked already, but does anyone chart vein size and compressiblity, and if so, how do you measure and how do you decide if the vein is big enough for dual, triple. Then how do you chart it? Try contacting your PICC product rep; they might be able to locate it. We started doing this more than a year ago. Currently, we are charting the vein size and its compressibility without the tourniquet, before the insertion. Based on our ultrasound machine, we either use the size of the vein in its natural state (without tourniquet) in approximate cm. or on the french size that displays on our SiteRite. The SiteRite has a panel on the right side with the comparable fr. size that is compared with the display that we see. We chart this info in the documentation of the PICC. We do not insert multiple lumen PICCs in patients with small veins that are the same size of the PICC. We try to determine a vein at least twice the size or 3 times the size of the PICC. Anecdotally, I believe that this practice has decreased the number of DVTs that occur. We have a study approved to prove that. We hope to continue to decrease the occurrence of DVTs associated with PICC insertion. Some times it is tough to argue with the nurse or doctor about the number of lumens, but we have stuck with our parameters. They want a triple and we don't see a vein that will tolerate that. We put in what the vein can handle. Catheter size of picc should be 1/3 to ½ the diameter of the vessel. I was wondering where this chart came from. Is it from a manufacturer? My hospital really wants evidence to back up what we do. Thanks for providing it! Thanks for the chart Karen! We started documenting vein size in natural state. This is french size (based on siterite) but also have an ilook. For the ilook we have calipers that can measure diameter but I didn't know how to correlate this to french size. The chart looks helpful, what is the source? I am a clinical specialist for Teleflex and initially began researching catheter vessel ratio about 6 years ago during my clinical practice at a large teaching facility. I saw a relationship between the size of the cathter and the occurrence or upper extremity thrombosis (UEDVT) when our team investigated a newly designed PICC which was introduced to the marketplace. Placement of any catheter in vessels create some degree of stasis. 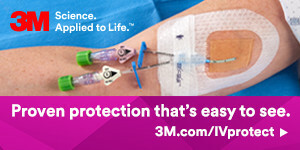 It is exaggerated with the placement of larger lumen catheters. I played around with some numbers over the course of many months and for some reason the "1/3" rule seemed to make sense to me. 1/2 of the vessel seemed too much and 1/4 seem unrealistic. It was then that my interest in thrombosis surfaced and I have been entertained by it's occurrence, prevention and management ever since. A colleague of mine, Dr. Tom Nifong also has a huge interest in thrombosis; he manages a hematology thrombosis lab in Hershey PA. He and I have presented all around the country on this very topic. With the dramatic increase in the placement of PICC's in hospitalized patients, Tom began investigating the very question.....where is the data that supports the 1/3 cathter vessel ratio rule? He has done studies with flow models determining how much the blood flow in the vessel is decreased with the insertion of various sized catheters. His initial data supported the 1/3 rule, that being that the catheter not take up more than 1/3 of the vessel. As you can see this is only a two dimensional measurement, as that is easiest for many ultrasounds to determine, but actually the measurements in his caluclations is determined by flow characteristics in the entire lumen of the vessel. This formula works for catheters that have true French sizes from tip to hub--meaning a catheter that is designed with a non-tapered configuration. If your PICC is reverse tapered, you will need to alter the size of the vessel component on the calculation, as a catheter that is for example a 7F at the point that enters the vein should have a 7 mm vessel and so forth. I might add, that someone mentioned in the thread about 1/2 of the vessel size.....Tom's calculations showed dramatic decreases in blood flow when the catheter consumed more than 1/3 of the vessel. Lastly, I think that Tom's data will be published in the near future, and thus, the information we all have been asking for will be available. Also, to let you know, a 6 session thrombosis lecture series will soon be launched, suitable for nurses or physicians. Tools to assist the clinican with appropriate devcie selection and thrombosis tracking thru out catheter dwell will be available as well. I might also add that Dr. Scott Trerotola will be presenting a lecture relative to catheters and UEDVT at AACN conference in May in Washington DC, if any of you are CCRN's. First of all, I enjoy reading all the comments shared and value the various feedback on postings. I have a question as I am somewhat confused after reviewing the chart presentation on cath size and minimal vessel size. It is helpful and a good tool however, the OD of the 4FrSL picc I am using (per package description) is 1.45mm and for a 5FrDL 1.80mm. The chart indicates that the 4Fr is 1.35mm (recent change to 1.33) and the 5fr is 1.67mm. I assume there are some differences depending on product/manufacturer and maybe the # of lumens? I would think that when the OD is known as obtained from the package, it's always best to perform the calculation from that OD for vessel size? If anyone has any information about the variance in cath diameters in relationship to the chart and my Picc OD measurement or any other useful information on the cath to vessel size debate, I would appreciate some feedback.